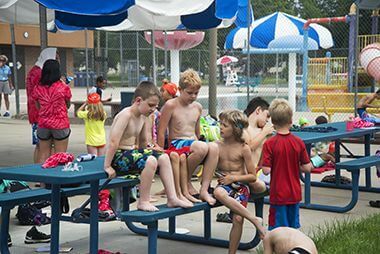 Pool closure times range from a few days to several weeks, depending on the types of repairs needed. 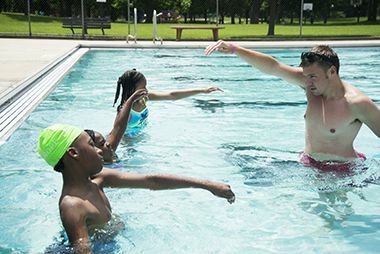 Swim lessons at North Commons are available June 20-August 19, 12:15-12:55 pm. Due to currently low enrollment, we will not be offering the 11:30 time slot. Everyone, including spectators, must pay an admission fee. No outside food allowed in the park. You may picnic outside of the water park and reenter. All guests need a hand stamp to reenter. You must wear appropriate swim attire in the water; see dress code information below. 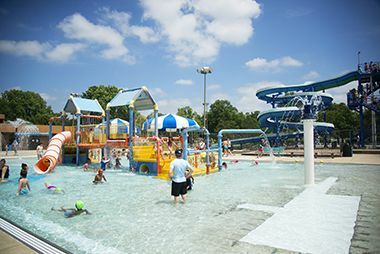 United States Coast Guard approved life jackets are the only flotation devices allowed in the water park. The water park does provide life jackets. No life jackets allowed on any water slide. 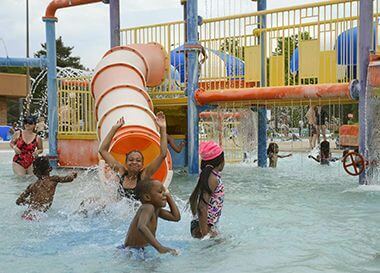 No water toys, sand toys, noodles, water wings or balls allowed in the water park. 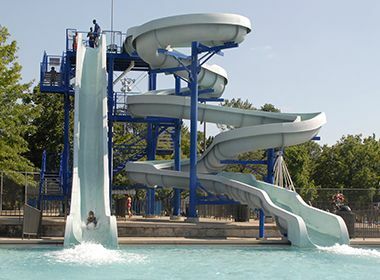 Only guests 42 inches and taller may ride the water slides. Only one rider may go down the slide at a time. Adults may not ride with children. Guests who are not toilet trained must wear an appropriate swim diaper or plastic pants (with no disposable/cloth diapers underneath). 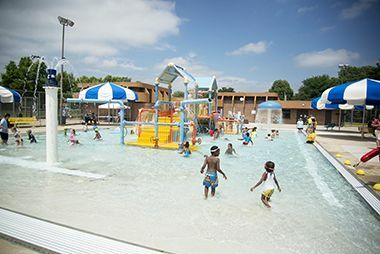 Youth ages 9-12 must be accompanied by an adult age 18 or older in the facility. 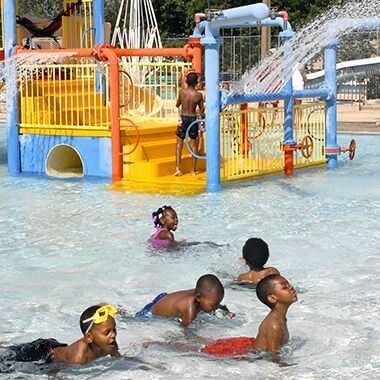 Children younger than 8 years old must be supervised by an adult age 18 or older in the water. 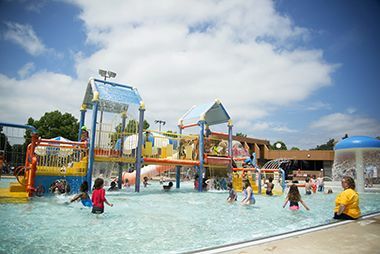 We recommend a 1 adult to 4 children ratio for groups with children ages 12 and younger. 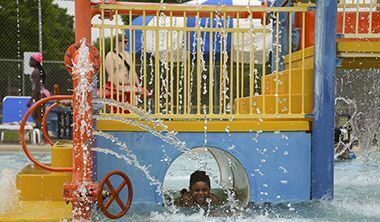 Water park staff will not hold personal belongings for guests. You may rent lockers to secure valuables. No tobacco allowed in North Commons Water Park. 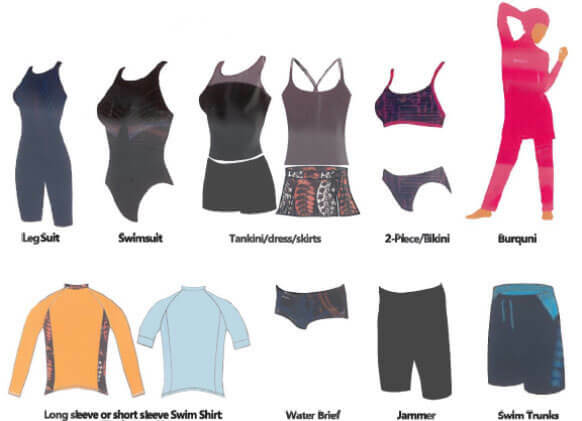 Appropriate swimwear helps keep the water clean and is important to the health and water safety of all users.